4 in 1 Bluetooth + stereo headset+ MP3 player + FM radio. Very lightweight and comfortable, even if used for long periods. Support TF/Micro SD memory card. With FM function, can listen to the FM radio. Built-in microphone with noise cancelling,you will enjoy cheerful chats with your family and friends even in a busy and noisy environment.You do not have to stop what you are doing at hand to answer a call. 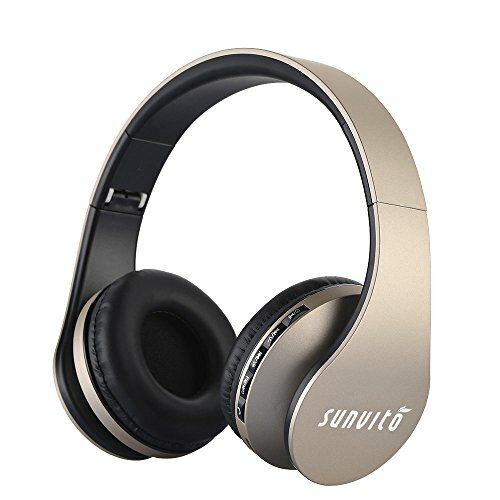 Our this sunvito headphones are made with all functional buttons.You can use it answer and hang up phone calls play,pause and skip music tracks and control the volume as well as to switch from bluetooth to TF card play or FM radio.